In this lesson of Drawing 101 we was taught how to draw in 2 point perspective. 2point perspective is when you have 2 vanishing points which connect with a single horizon line. So to test out 2 point perspective skills we was asked to do simple shapes to begin with such as a cube. To begin with I struggled with this due to drawing where I thought the lines should go instead of properly lining everything out, this causing the cube to look deformed and well not a cube. 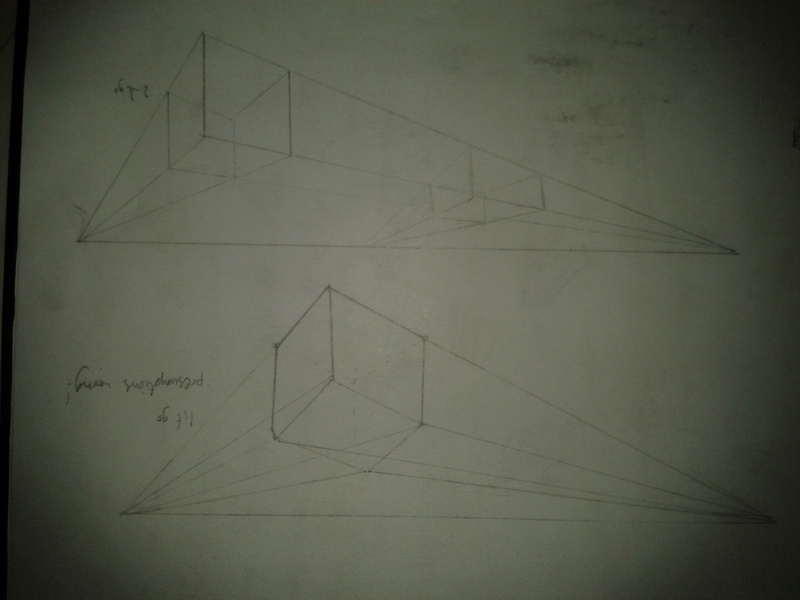 But after some practice and help I realised where I went wrong and correctly drew in 2 point perspective. After we attempted the cube, we was asked to move on and try to do a wheel in perspective. 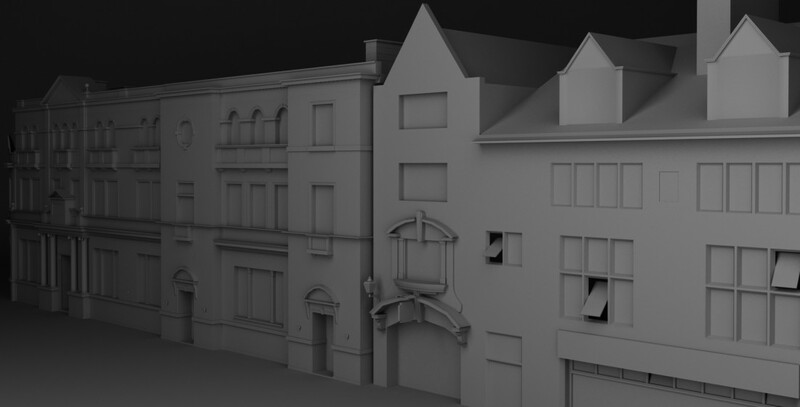 This was much harder than the first one with my first attempt turning out like a steamroller which I then turned into a 2 point perspective steamroller. after a second attempt I had done the wheel correctly. This was all just practice and progress in my case as it took me 1 go on both occasions to get used to drawing the object. I knew I had to draw the original cube outline much thinner to make a wheel rather than what I have which is a cylinder. 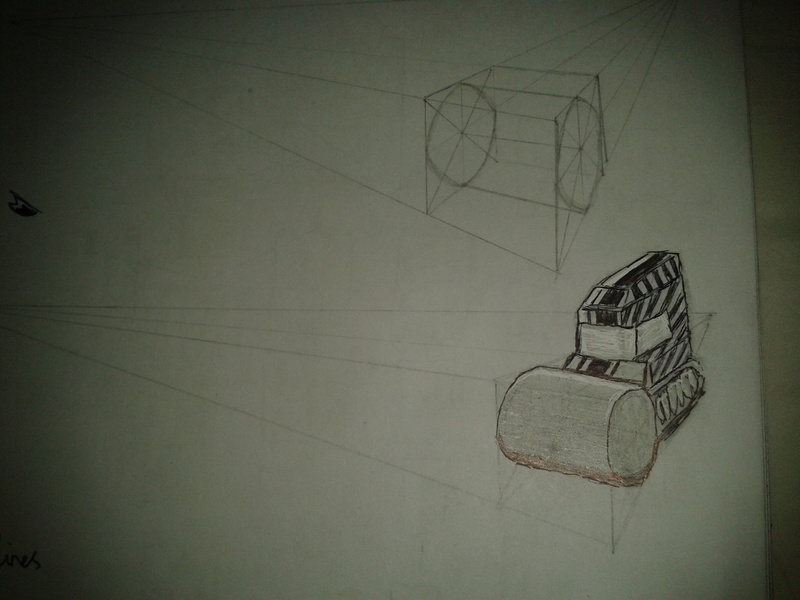 2 point perspective wheel progress, steamroller. “Practice must always be founded on sound theory, and to this perspective is the guide and gateway, without this drawing is meaningless” -Jack Kirby, Comic Artist. That was my favourite artist mark crilley with his overview of basic 2 point perspective and then moving on to what 2 point perspective can do by showing us how to draw a death star landscape. After this our tutor showed us how to experiment with contour lines, contour lines can define a shape to make it 3d. We did some random shapes and then was asked to add contour lines to make them 3d. I did a bean bag sort of shape so by adding contour lines and curving them down towards the middle made it look like a bean bag. 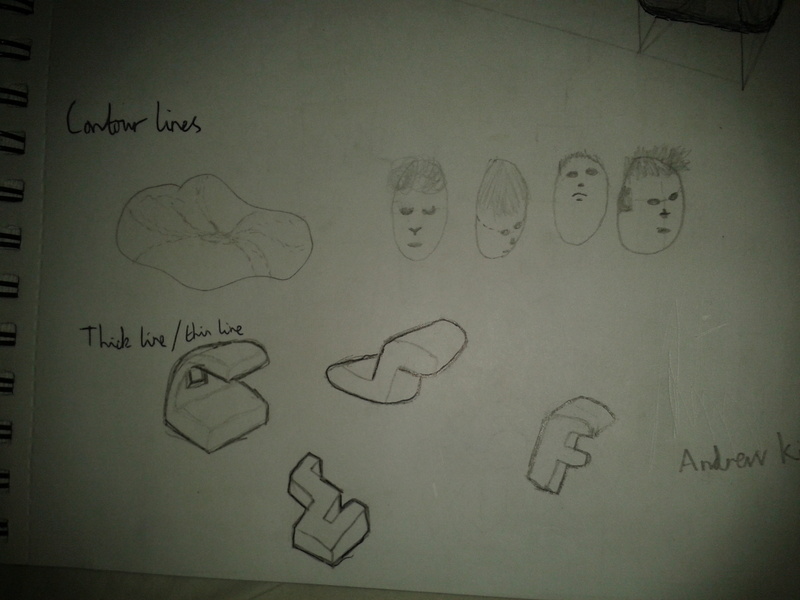 Another use of contour lines is to correctly position facial features on a face when looking is different directions. As you can see below I had a good go at this and was pleased with my results. Then we moved onto the use of Thick line/Thin line. This technique allows the shape drawn to be bold and define the edges of the shape. Andrew Kim a concept artist is very good at all these techniques used in this session. This lesson for me was one of the best lessons we have had so far in the course, it really made me think about how to draw and what can improve my drawings. I know now that if I practice these basic techniques that has been taught me in Drawing 101 lessons I will improve my art skills. Categories: Drawing 101 | Tags: 3D, art, Drawing, Drawing 101, Jack Kirby, mark crilley, perspective, PHASEgaming, progress, Thick line/Thin line | Permalink.